A Richmond, Va., woman faces five to 40 years in prison after pleading no contest to second-degree murder in the death of her 3-year-old goddaughter, Latrice Walden. Danielle L. Turner, 25, is scheduled to be sentenced June 23. According to WTVR, Turner was initially charged with felony child neglect, but those charges were later upgraded to first-degree murder. She was then scheduled to go through a three-day trial, but that was canceled after Turner entered her no contest plea. The charge was amended to second-degree murder, but a sentencing agreement was not included in the plea. “It’s still just all a shock,” Latrice’s mother, whom the Richmond Times-Dispatch identifies as Latrika Brown, said after court Tuesday. 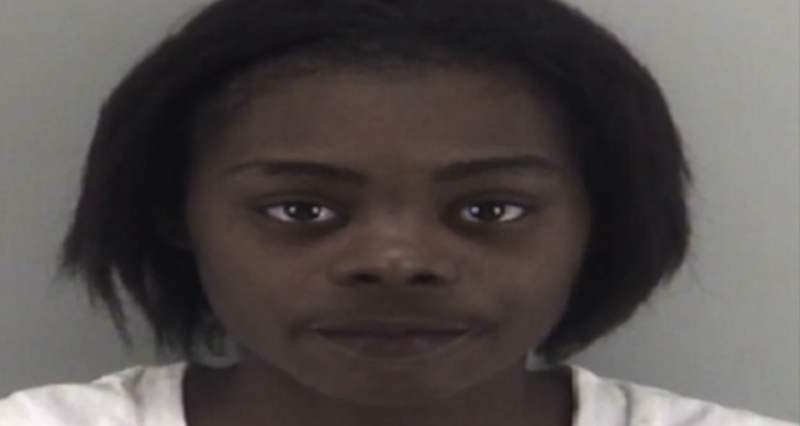 Latrice died after being beaten, an autopsy report concluded. The little girl suffered more than 60 bruises on her arms, legs and torso, as well as trauma to the back of her head, authorities said. The autopsy report ruled that Latrice died from blunt force trauma to the back of her head. Turner and Latrice’s mother have known each other for more than 10 years. During the incident back in February 2016, Turner was watching Latrice as the child’s mother was in the hospital to give birth to a son. “She was my only daughter; she was my first child,” Brown, who is carrying her third child, another son, added. Turner initially said that Latrice slipped and fell in the bathtub and hit her head on the faucet. Police said that she waited more than six hours before calling 911 about the little girl’s condition. Brown said that she was shocked to discover what had happened, especially when it was explained that neighbors and friends who had stayed with Turner during the four-day period would have testified that they overheard the abuse if the case had gone to trial. Assistant Commonwealth’s Attorney Edward Nickel said that neighbors came forward after discovering that the child had died. The neighbors also reported hearing the abuse only on one other prior visit, in January 2015. Brown says she would have liked to hear directly from Turner why she did what she did to the little girl. Read more at WTVR and the Richmond Times-Dispatch.